Toenail fungus is a common problem in the United States and around the world. It grows underneath the toenails and can cause them to become discolored and brittle. The good news is that a new type of treatment can help. You put on your shoes in the morning and feel a little tenderness at the edge of your big toenail. Later, you notice the skin around your toenail is red and tender. You probably have an ingrown toenail and should seek medical attention. When you suffer from bunions, ulcers, or foot pain, you may think your only options are medications and surgery, but that’s not true. Orthotics offer pain relief and mobility improvement for many foot conditions. To learn more, keep reading! If you notice a hard, grainy bump on the bottom of your foot, there’s a good chance you have a plantar wart. Fortunately, there are effective treatments at Family Foot & Ankle Clinic in Austin, Texas. Proper foot care is paramount if you have diabetes. That’s because neglecting your feet could lead to foot ulcers or a life-altering infection. 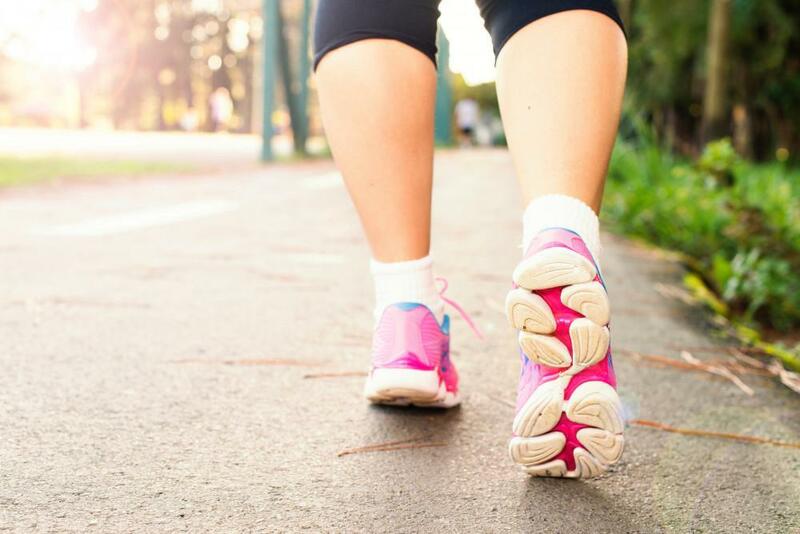 Luckily, many foot-related diabetes complications are preventable. Do you have trouble getting into those beautiful shoes with the 2-inch heels because the area at the base of your big toe is swollen and tender? Chances are you have a bunion. Does it require surgery, or are there other options? Your feet serve you well, carrying you where you need to go, all while bearing the entire weight of your body. Here are 10 shoe shopping tips that will keep your feet happily skipping along. You may have heard of foot fungus, but assumed that this disease couldn’t possible affect you. After all, you’ve probably never seen anything growing on your toes or sprouting from your soles. Why Are My Feet Always Sweaty? Sweaty feet can be uncomfortable and embarrassing. There’s nothing worse than sliding around in your shoes, soaking through your socks, or feeling self-conscious about your foot smell. No one wants to smell badly. A foul odor fuming up from your feet can make you feel self-conscious on a date, at a business meeting, or even just walking down the street. 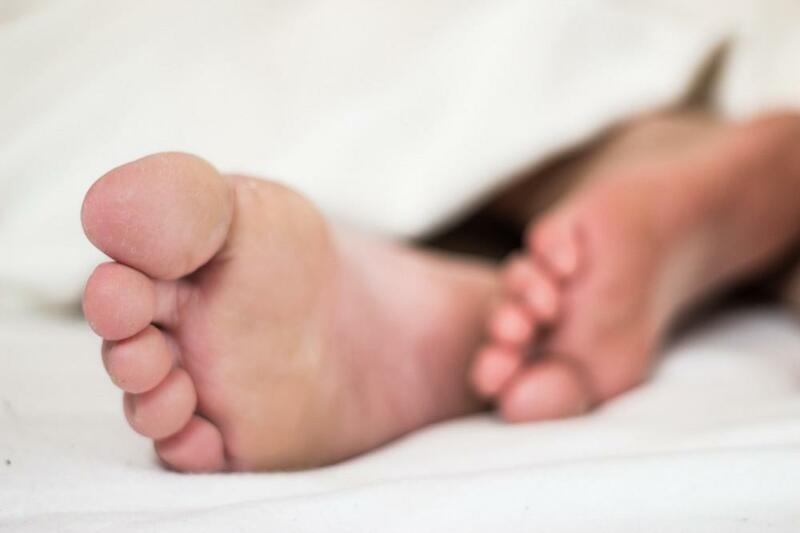 Imagine this: after a long day of work, you finally get in bed and begin to drift off to sleep…only your foot begins to cramp. It’s time to talk about toenail fungus. According to the British Medical Journal, up to 5% of the general population and 15-20% of patients over 40 years old suffer from fungal nail infections. Unfortunately, since they’re always on the ground helping you move about, your toes can really take a beating. We hope you had a wonderful Memorial Day yesterday! Summer will be here before you know it, and with the weather heating up, holidays are a great time to go swimming, sunbathing, and picnicking. If you’ve ever shared a home with a pet, tuned in to Animal Planet, or even taken a stroll through the dog park, you know that animals and humans have a lot in common. Is it Okay to Wear Socks to Bed? Since feet are an oft-ignored body part, it can be difficult to figure out how to best care for yours. Most of us have had a callus at some point in time. You might develop them after a particularly hard workout, from wearing the wrong size shoes, or you may continually have small calluses on your feet. Our toenails protect the delicate skin underneath them, and serve as a layer of defense against the elements as we use our feet all day. What Does it Mean if My Feet Burn? Most people don’t think much about how their feet feel. They might get a bit sore from running around all day, itchy from rough socks, or cold in chilly weather, but these sensations are understandable. 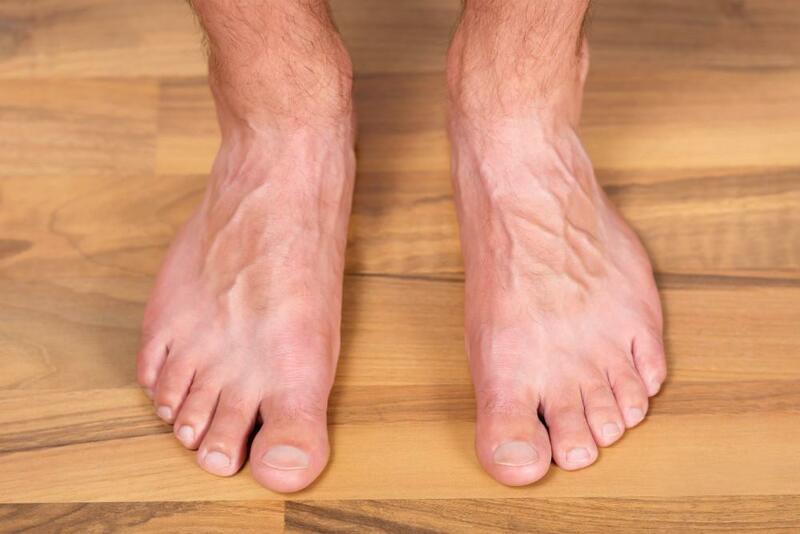 According to the Institute for Preventive Foot Health, “8 percent of U.S. adults ages 21 and older (about 18 million people)” suffer from flat feet. This problem may be prevalent, but that doesn’t make it healthy. National Doctors’ Day is just two days away! Physicians, surgeons, and other types of medical practitioners are an important part of all of our daily lives. Approximately 850,000 Americans suffer from ankle sprains every year, according to Right Diagnosis. Unfortunately, this common injury can be quite uncomfortable, limiting your ability to walk, run, move, and go about your daily life. Do you suffer from a stabbing pain in your heels? In addition to being irritating, embarrassing, and unhealthy, this sensation can make it difficult to find comfortable shoes. You’ve probably experienced this beyond-irritating phenomenon: you’re minding your own business, sitting in class, chatting with a date, or even giving an important work presentation, and your toes start to itch. Foot Anatomy 101: The Basics Behind Your Feet! Most people take their feet for granted. You probably don’t think about them on a daily basis, but they literally carry you through life. The ball of your foot takes the brunt of your foot as you walk, run, dance, and more. This thicker portion of the foot lies between your toes and your heel, and it carries your weight as you move. It sounds like a bizarre nightmare: you look down and see that one of your toes has turned purple. This may seem like a strange symptom, but, actually, there are a number of reasons your toes can become discolored. Have your toes ever gone numb? Numbness in any part of your body can be unsettling and uncomfortable. You may have heard the term “arch support” bandied about. Perhaps it was advertised as an important quality in those fancy new running shoes you were considering buying, or maybe you’ve seen shoe inserts at the drug store to help hold up your arches. Suffering through an ingrown toenail one time is bad enough, but dealing with ingrown toenails all the time is a whole different story. Have you ever noticed your toenails taking on a yellow hue? You might have assumed that this is normal, but it isn’t. New Years Resolution Ideas- Healthy Feet! Happy 2017! Chances are, earlier this week, you made some New Year’s resolutions. Perhaps you want to further your career, make better dietary choices, or spend more time with your family. As a podiatry practice, we know that your feet are the foundation of your overall well being. Lacking a healthy arch can have an impact on many areas of your body, literally from head to toe. With the holiday season in full swing, there’s a lot to look forward to: special sugar cookies, brightly decorated trees, beautifully wrapped gifts, and cheer-filled events. Our ankles are one of the most sensitive areas of our bodies. Most people have probably experienced ankle pain at least once in their lives. Most of us never even consider the skin of our heels—that is, until they become dry and cracked. Dealing with scratchy, dehydrated, broken heel skin can be uncomfortable and embarrassing. We live in a time of great technological transformation. It seems like every day brings a new innovation to help us live better lives. When you think of the word “corn,” you might imagine long green stalks, bright yellow kernels, or even a white, fluffy snack at the movie theater. Shoes are a part of daily life; from sneakers on the court to stilettos at a dinner party, we wear them for hours every day. If yours are constantly too tight, this can have a major impact on your overall happiness and well being. You’re faced with an overwhelming aisle of athletic shoes. A score of styles, a myriad of makes, a cornucopia of colors—how are you supposed to choose? Have you ever thought about running a marathon? According to Running USA, there were “more than 1,100 marathons run across [America]” in 2013 alone, so you’ll have ample opportunities to compete in one of these races. Do you know that infinitely irritating feeling when you get a small rock stuck in your shoe? Can you imagine having that feeling constantly? Have you ever felt your foot tingling? This seemingly strange symptom is actually quite common. Many people suffer from ingrown toenails. According to the Illinois Podiatric Medical Association, “ingrown toenails or other toenail problems” affect about 1 in 20 Americans. Most people figure out fairly early on in their lives whether or not they’re right or left handed. They simply begin picking up their crayons with one little hand or another, and that’s that. Barefoot Running: Healthy or Risky? On the surface, it seems like a great idea: run barefoot instead of with shoes to produce a more “natural” stride. After all, humans were designed to run and walk on bare feet. On Your Feet All Day? How to Care for Overworked Feet? 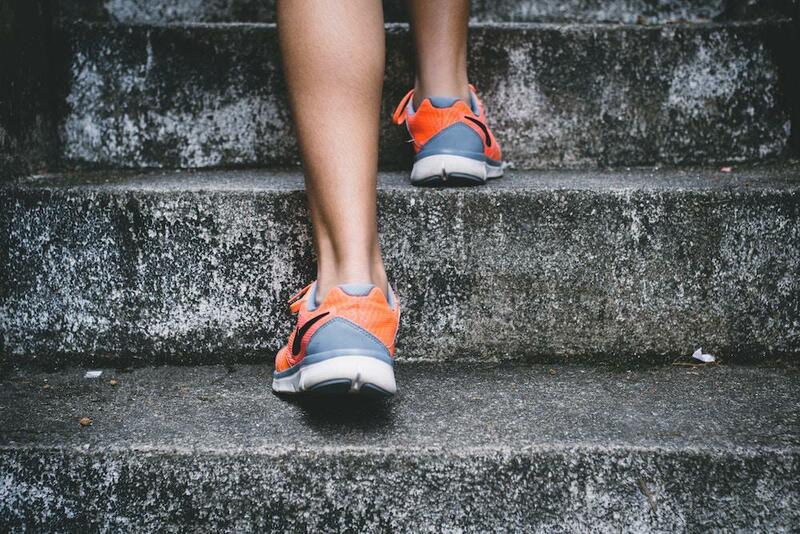 The average person takes thousands of steps per day – and those who work on their feet take many more. Icy cold feet can be uncomfortable and annoying. Most of the time, chronic cold feet are nothing to worry about in young, healthy people. As the summer sandal season comes to a close, it’s time to think about cooler temperatures and a change in footwear. Although it’s rarely serious, athlete’s foot is not something any of us want to deal with. The scaling, peeling, and cracking skin not only looks undesirable with your favorite sandals, but it’s uncomfortable with its trademark burning and itching. What you put in your mouth has an effect on your entire body, including your feet. Did you know that your feet appreciate a healthy diet as much as the rest of your body? My heel hurts – what should I do? Your heels take a pounding every day. They absorb much of the impact when you walk, run, and stand for long periods. Muscle cramps can be a real pain — and they often strike at the most inconvenient times. The middle of the night is a prime time for painful foot cramps and charley horses, waking you from your much-needed sleep. Stores everywhere carry a variety of insoles for shoes that claim to reduce pain and help your feet. It seems like a great idea: slip these gadgets into your shoes and you’ll get extra cushion and shock absorption. But should you use them? Summertime means fun in the sun, and all that sun tends to make people sweat. If your feet are trapped in a pair of shoes all day, they’re bound to feel – and smell – less than pleasant by the end of the day. Pronation, or the way your foot turns when you run and walk, should be an important factor when you choose your running shoes. When sandal season arrives, many people treat themselves to a pedicure to get beautiful feet they can show off. Although foot odor is a common problem, it’s also one most of us would like to avoid. It can be embarrassing and downright unpleasant – for you and those around you. With 26 bones, 33 joints, and more than 100 tendons, your feet are complex and amazing machines that take you places each day. And because your feet work so hard and have so many parts, a lot can go wrong. When summer comes, you’re probably thinking about vacations, barbecues, beaches, and more. But when you’re having your fun in the sun, don’t neglect your feet – or you may pay for it with pain, injuries, and other foot problems. Perhaps you’ve heard of Achilles tendinitis and think it only happens to marathon runners or hard-core athletes. But this injury can happen to people of all ages and athletic levels. 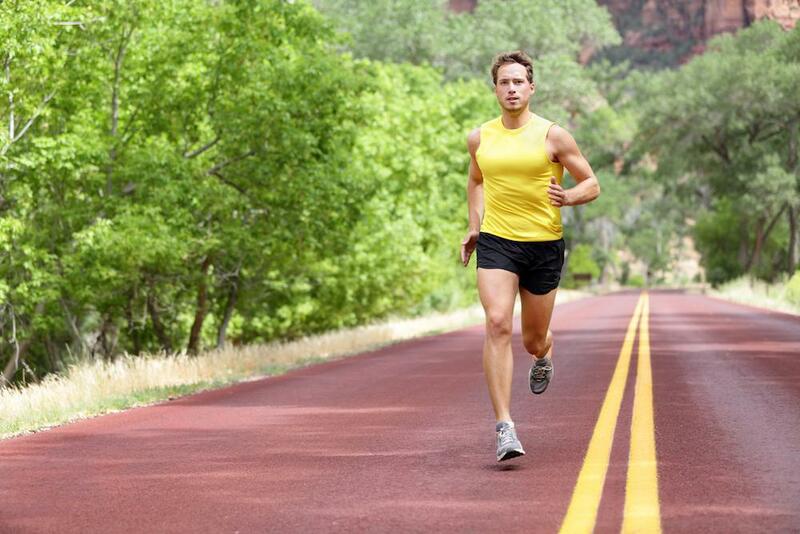 Running is excellent exercise, whether you run for pleasure, competition, or both. But a foot injury can take even the best runner down quickly if it’s not properly treated. Fun outdoor activities are not in short supply in beautiful, sunny Austin. No matter what your age or activity level, you’re bound to find something that suits your fancy. When Should Bunions be Operated On? Bunions are a very common foot problem. In fact, over 20 percent of all adults have them. It’s not how most of us want to start our day: you step out of bed and immediately notice heel pain. Although it’s uncomfortable, it’s not necessarily a serious problem. Feet have a pretty tough job to do. But just because feet are tough, doesn’t mean they’re invincible. Yet, many people will ignore persistent foot pain or changes in the foot’s appearance and function for too long. It’s surprising how little we actually think about our feet. Especially since our feet are a pair of the most useful body parts that we have, and, as it turns out, they’re pretty amazing to boot! There are a number of structural issues with the foot that can lead to pain, reduced foot function, and an unusual or unsightly appearance of the foot. If you want to reduce your risk of ingrown toenails, here are a few simple tips. This article will offer some points that patients should consider when choosing, evaluating, or recommending a podiatrist. Having diabetes makes you more likely to develop certain physical complications. Your feet are particularly vulnerable when you have diabetes since people with the condition are at increased risk of peripheral arterial disease (PAD) and neuropathy. March Madness is finally here! If you’re a college basketball fan, the month-long display of basketball skill and school pride that is the NCAA tournament is probably one of your favorite times of year. The nagging pain of plantar fasciitis can not only affect your ability to perform daily activities, it can also affect your mood. We’re all creatures of habit. There are dozens of little things that we do each day that feel like second nature to us because we’ve been doing them for so long. When heel pain first strikes, your first impulse may be to ignore it. It’s common for many people to dismiss heel pain as just an after-effect of a vigorous workout or a normal part of aging. Most women know that high heels aren’t good for their feet, but, since a pair of heels can make a great outfit look even more fabulous, many women insist on wearing them anyway. Have you tried to get rid of toenail fungus repeatedly, but it still keeps rearing its ugly head? There can be many reasons that toenail fungus won’t go away for good. Toenail removal is a minor surgical procedure that removes either the entire toenail or a portion of the toenail that is diseased, damaged, or very painful. Getting a pedicure can be a relaxing way to treat yourself and make sure your toes look their best, but if you’re not careful, you can be putting your feet at serious risk for infection. Bunion surgeries have been performed since the 19th century, but the approaches and techniques for the surgical removal of bunions have changed drastically since the procedure was first performed. Ingrown toenails are one of the most common foot conditions that people experience. While it’s not usually a very serious condition, an ingrown toenail can be very painful, uncomfortable and unsightly. There’s no one ‘athletic type’. Take football players and golfers, for example. Both are athletes, but each has completely different athletic needs. 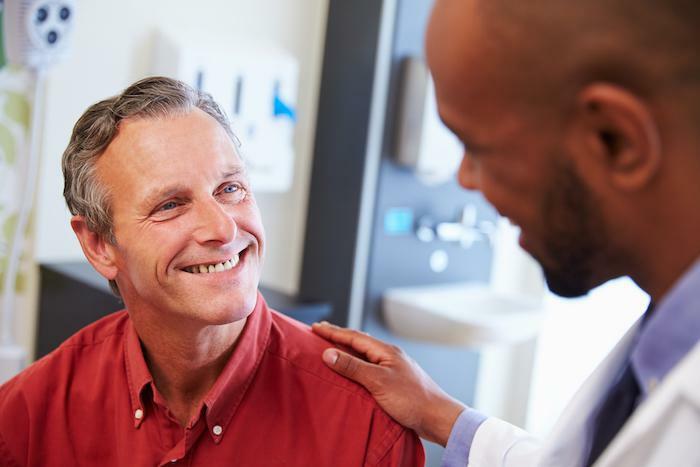 Even though our feet are an integral part of our overall body health, many people will delay seeing a podiatrist or foot specialist for nagging foot problems until it’s too late. Despite recent advances in the availability of health information, foot health is still somewhat a mystery. There are many old wives’ tales and colloquial advice about feet and footcare that are well-known, but aren’t necessarily based in fact. Now that the holiday season is in full swing, the added stress and non-gout-friendly foods that are characteristic of the season can increase your chances of having a gout flare. One of the most common physical problems that frequent runners experience is heel pain. How Much Do You Know About Bunions? Did you know that bunions are one of the most common foot problems in the US? Did you know that roughly one-third of the population of most Western countries suffer from bunions?